One of natures gifts to mankind. 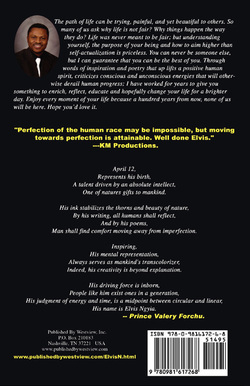 Man shall find comfort moving away from imperfection. Indeed, his creativity is beyond explanation. 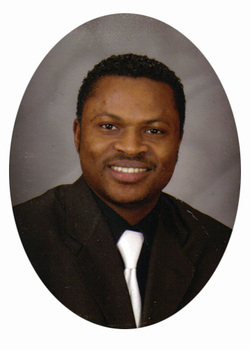 His name is Elvis Ngyia." progress; I have worked for years to give you something to enrich, reflect, educate and hopefully change your life for a brighter day. Enjoy every moment of your life because a hundred years from now, none of us will be here. Hope you’d love it. "Powerful and Inspiring. 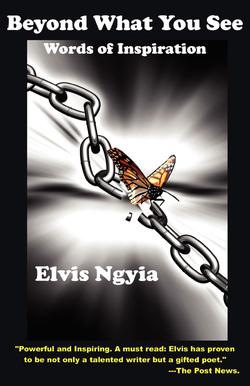 A must read: Elvis has proven to be not only a talented writer but a gifted poet." - The Post News. with your name and let her know you would like your copy autographed by the author.